Dr. Whittaker became part of the McFarland Team in 2006. Her experience includes fitting all types of contact lenses, even in patients with corneal disease or prior transplants. Dr. Whittaker also delivers expert management for refractive errors with glasses. She is a strong clinician and enjoys providing care for all types of eye problems – from the routine to the complex. She is warm, friendly and attentive to each detail of her patient’s care. In her spare time, Dr. Whittaker likes to decorate cakes. She resides with her husband Dennis and son Jackson in Benton, Arkansas. 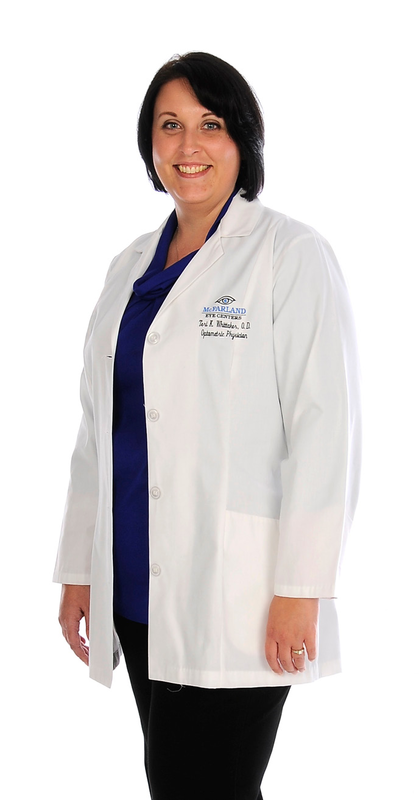 She provides a variety of patient care, including pre and post-operative care, at our Little Rock and Bryant locations. From the first time I met Dr. Whittaker, I knew she was both caring and attentive to detail. She has also proven to be persistent. She wants me to be happy with my vision and she won’t settle for anything less…even trying a third or fourth solution until it’s right. I am extremely pleased with her as my doctor. I felt an instant confidence in Dr. Whittaker. I could tell she knew what she was doing. Where other eye doctors I had seen could not find a solution for me, she did. Almost all my experience at McFarlands has been with Dr. Whittaker. She seems to be extremely knowledgeable and willing to spend as much time as necessary. I send my many thanks to Dr. Whittaker for her expert care. She is phenomenal. Dr. Whittaker is very patient focused. The first time I came in I was extremely nervous. She made me feel so comfortable and she answered all my questions so kindly.